It seems that not a week goes by without reading another news article on the quality (or not) of our air – particularly in urban areas. 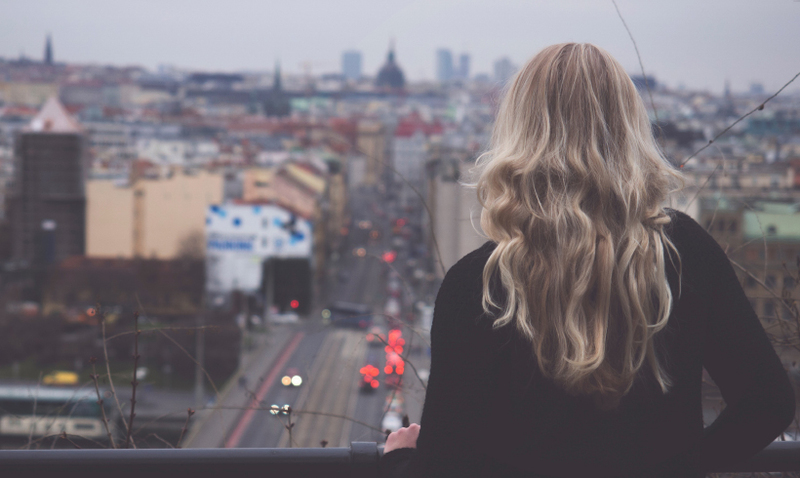 We know that pollution is one of the main contributors to ill health, but have you ever stopped to think about what it might be doing to your skin and hair? Today, more than half of Londoners say they are concerned about the quality of outdoor air where they live (ie pollution levels)*, which isn’t surprising considering the UK has been breaching EU pollution limits consistently for the past five years, with London emerging as the most polluted city in Europe. And we are becoming aware that if pollution is bad for our health, it’s more than likely bad for our skin with sales of anti-pollution skincare going up by 30 per cent in six months, according to NPD UK Beauty. But our hair is also at risk. “Pollution, such as dust, dirt and daily grime, affects the hair and scalp in a similar way to the skin on our face,” says Anabel Kingsley, trichologist at Philip Kingsley. “They can also increase the likelihood of scalp problems, such as flaking and itching, as well as blocked follicles and the formation of pimples. Cue dullness, broken strands, fragile and lacklustre hair that feels coated and heavy… We could go on. Car emissions, UV rays, blue light from our phones, iron particles from train tracks, ozone and cigarette smoke all pose a threat to our hair as soon as we step out of the door. The best way to counter the attack? By bolstering up your haircare arsenal. Simone Sighinolfi, Oway international commercial director, says one way to protect your hair from pollution is to invest in a hair mask, such as Oway’s Rebuilding Hair Mask. “By restoring protein to the hair, it repairs rough and damaged fibres, while sealing the cuticle,” she explains. Using a weekly exfoliating scalp mask to help remove dead skin cells is also a good idea (we love Christophe Robin Cleansing Purifying Scrub) and salon owner, Karine Jackson, suggests using a detox or clarifying shampoo once a month. “If you leave it on for five minutes, it will really detox the hair,” she says. 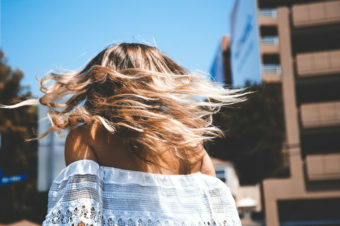 While washing your hair may come as standard, short of refusing to leave the house, can anything be done to protect your hair while you’re out and about in the city? “You can’t completely shield your hair and scalp from general pollution,” says Anabel, rather discouragingly. But the good news is you can help protect and defend your hair with antioxidants and SPF. “Use styling products that contain UV filters, free radical scavengers and conditioning ingredients,” Anabel adds. The right products are particularly important as, despite all we’ve heard about the benefits of eating right for your hair, nothing you eat can protect your hair from pollution. 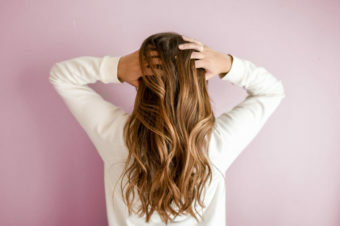 “While a protein-rich diet is great for the health, quality and strength of growing hairs, once hair has grown past scalp level it is technically dead tissue – so what you eat will not affect the condition of existing hairs, or repair damaged or dirty mid lengths and ends,” explains Anabel. One thing you can do – aside from invest in the right products for home – is to not leave the house with wet hair (your mother was right all along). The strands will attract dirt particles and dust that will stick to the hair, warns Oway’s Simone. And when in doubt – give your hairdresser a shout! Salons are there to make your hair look and feel as good as possible, and there are a range of services and treatments available to help you protect your hair from pollution. Oway’s two most popular in-salon services to protect hair from pollution are Daily Act – Purifying Aromatherapy Blowout, and Soothing Treatment with Zanthoxylum (a type of tree – makes for a good Bonsai) and Biodynamic Helichrysum (a soothing herb). The former is a nutritive and purifying treatment for those who have an imbalance of scalp sebum due to air pollution and the working environment. Aniseed myrtle extracts, white tea and biodynamic lemon essential oil soothe, soften and protect the hair and scalp. The latter, with the oh-so official sounding ingredients, provides relief for sensitive, red and clogged scalps that have been irritated by environmental factors. Gary Taylor’s clients are big fans of the Schwarzkopf Professional Innovative Scalp Detox Service, which complements the new BC Bonacure range. “This self-warming treatment activates blood microcirculation and helps to eliminate impurities, product build up and pollution,” he explains. Matthew Curtis Hair Retreat at Hoar Cross Hall Spa Hotel offers respite from city living with Leanor Greyl treatments, comprising a hair and scalp analysis and tailored treatment as part of its holistic spa concept. Hair and scalp consultations are also carried out in a concealed room for the upmost in privacy. “This room is cosy and intimate and full of jars containing natural plant extracts, which are then mixed to create bespoke solutions for clients’ hair and scalp issues,” says Matthew, who recently won Best New Salon for his Rosewood London Hotel salon at the 2017 Most Wanted awards. But the one product to steer clear of in polluted cities? Hairspray. “The smog in big cities can stick to hairspray,” explains Roni Chapham, creative cutting specialist at The Chapel in Tunbridge Wells. Percy & Reed Perfectly Perfecting Wonder Wash shampoo, conditioner and balm. Insight Antioxidant Shampoo, Conditioner and Mask.